Basically this is also valid for a well-known sports car, the Porsche 911, designed by F.A. Porsche and first sold in 1964. Both companies offer high-priced products with an outstanding build-quality, a timeless design, and an extraordinary user experience. Each product iteration can be seen as an innovative step to perfectness. The two entrepreneurs as well as the two top designers share similar values, the design philosophies follow the same convictions, and both businesses are built around a few products which are the focus of innovation, the carrier of technology, and the basis for financial success. for decades give rise to a cult, a myth. 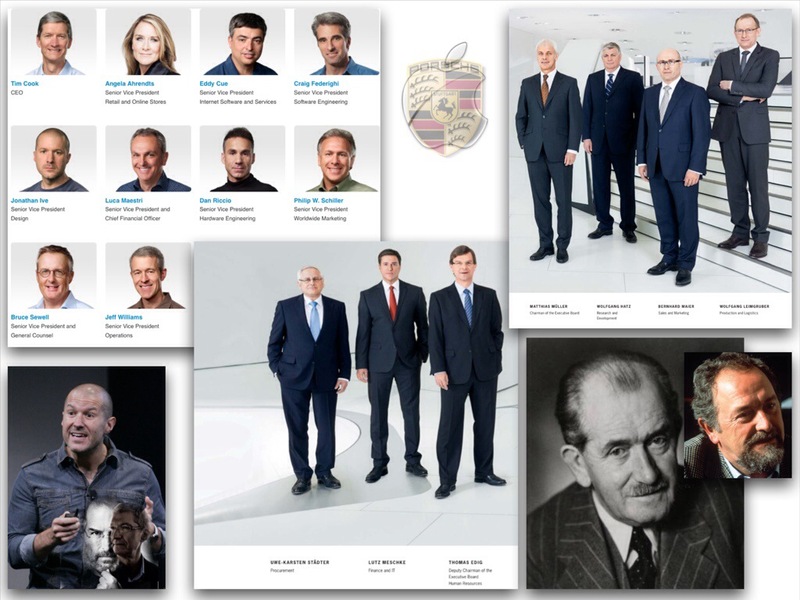 It has been just about three years since my colleagues on the Executive Board of Management and I developed guide- lines for Porsche management’s business activities. Since then, I have always been clear about the most important point of this “Strategy 2018”: Our mission is to impress our customers with a unique purchase and ownership experience. This includes offering them outstanding products that fully satisfy their requirements for an exclusive sports car. The Company believes a high-quality buying experience with knowledgeable salespersons who can convey the value of the Company’s products and services greatly enhances its ability to attract and retain customers. Therefore, the Company’s strategy also includes enhancing and expanding its own retail and online stores and its third-party distribution network to effectively reach more customers and provide them with a high-quality sales and post-sales support experience. Both companies not only offer products but also services. 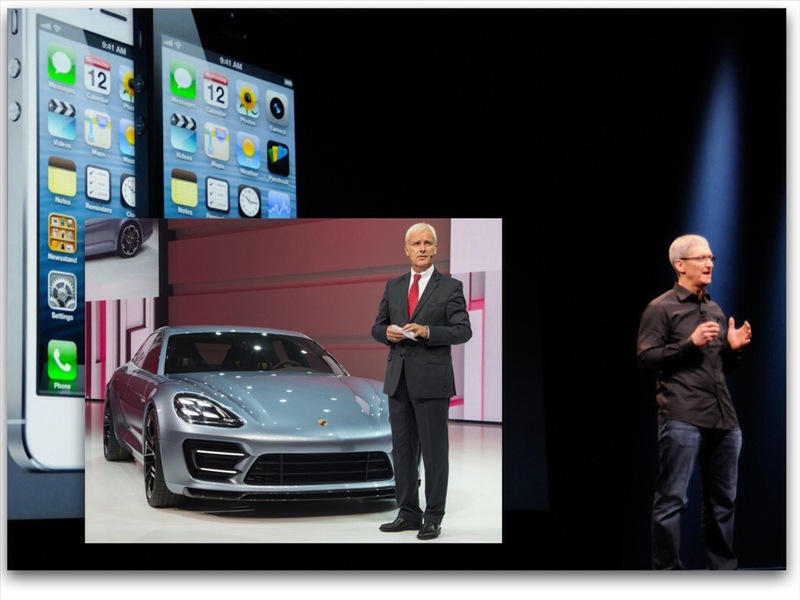 The overwhelming revenue is made with their kernel products, the iPhone/iPad and the 911/Cayenne. Here are the product line-ups (without all the available variants) of both companies with their main products, founders, actual CEOs, and designers who were/are responsible for the companies’ top sellers. Apple Stores with the Genius Bars represent the company’s philosophy of customer relationships. A distinct fanboyism is typical for both brands. 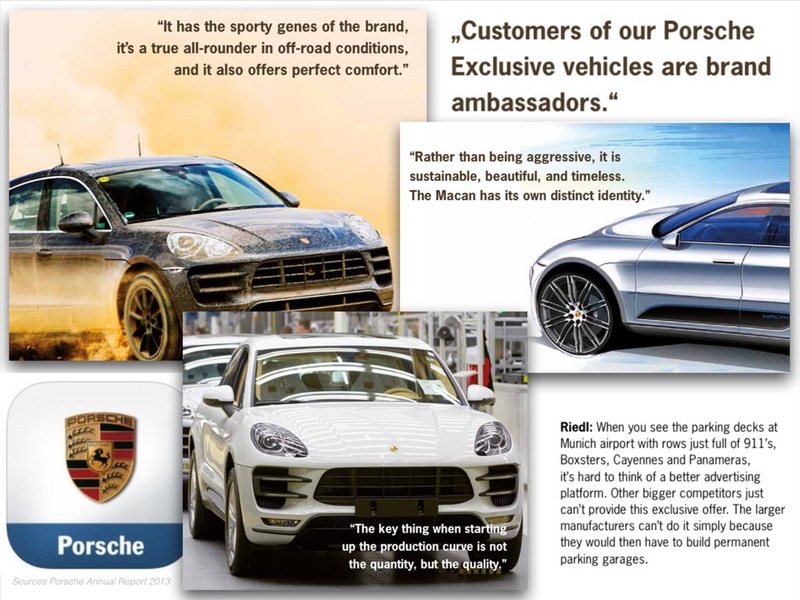 It was Steve Jobs’ saying ‘To purchase is to build relationships’ and here is what Porsche does to keep the brand loyalty. Today’s customers have high expectations. They expect any company they interact with to give them the a great experience. In order to succeed, organizations need to make sure that they are delivering the best customer care possible, making the experience memorable for customers and enticing them to go back to do business with that firm and recommend it to others. Forward-thinking business leaders are cognizant that the experience they deliver to both customers and prospects will make a difference between a closed sale or a disappointed customer who will never do business with that company again. 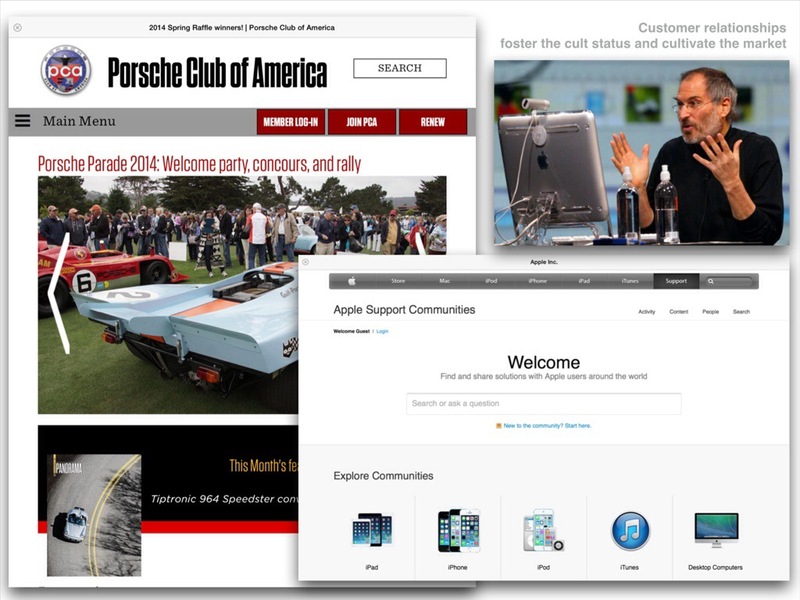 The Porsche AG, winner of the Sales Force Effectiveness category in the Gartner & 1to1 Media CRM Excellence Awards 2013 in the EMEA and Asia Pacific region, is a firm believer in the importance of delivering the best customer experience throughout the entire customer journey, starting from the first moment of interaction with the brand. In line with its corporate objective of value-creating growth, the German company wanted to refine its sales process, allowing the brand to interact with customers with relevant and personalized communications over various touchpoints at different points in their purchasing journey. In order to achieve this objective, in 2010 the company embarked on an ambitious project to optimize the utilization of every sales opportunity and at the same time promote customer care through an improved service quality. This included pairing each customer with a sales contact person who can help and guide the customer throughout the vehicle acquisition process. Another objective was to reduce the number of unattended sales opportunities, but leverage each customer contact as a way to build a relationship with the client. 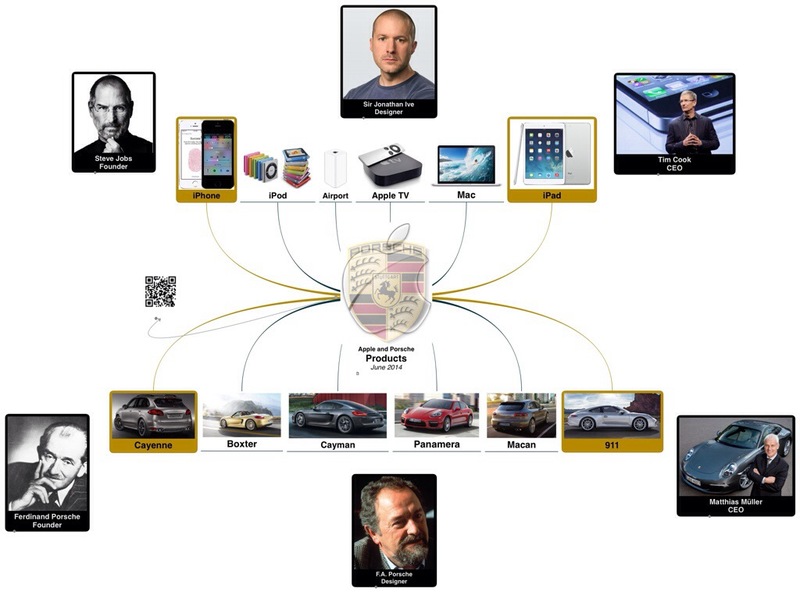 Porsche developed a global CRM system (rolled out globally in 2011) to bring together customer contacts and information from different channels, allowing the company to carry out the necessary follow-up activities and create personalized interactions tailored to the individual customer’s exact needs. 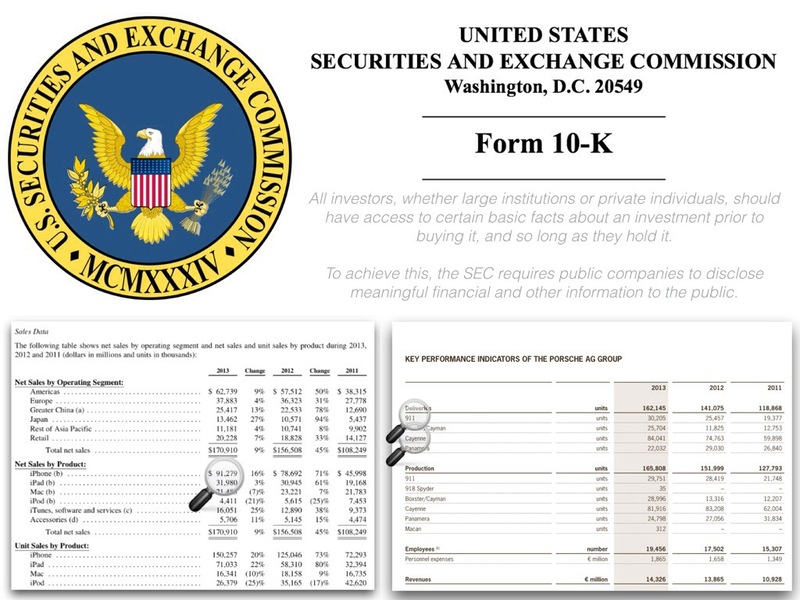 In 2012, the first full year that the initiative was in operation, the company saw a two-point increase in its purchase satisfaction index while CRM-based sales follow-up activities went up by 70 percent. Porsche’s results clearly show that customers value organizations that deliver best-in-class service. In a competitive environment, only these organizations will remain successful and be able to beat the competition. It should be mentioned that neither Google, nor Samsung or any other of Apple’s competitors are engaged in customer relationships on a personal basis. Replace the brand names Google, Samsung, Microsoft, etc by Anonymous Inc. and you get a true definition of your relationship after buying a product. ‘Brand-conscious’ means preferring the low-price product line-ups. Well, it’s hard to imagine the Porsche CEO presenting a new model with jeans and a turtleneck pullover. And there are some quite obvious explanations. There is an app for that and it’s obviously running on iOS devices. 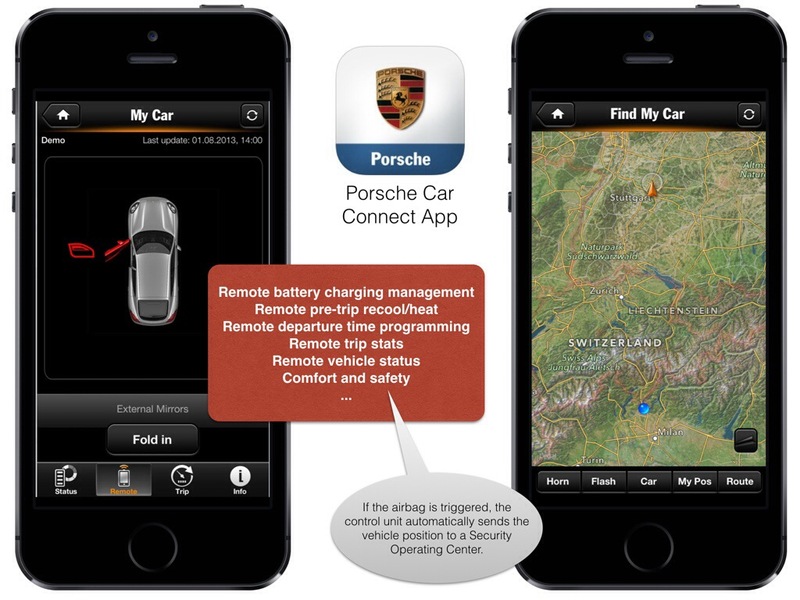 Starting from model year 2014, Porsche Car Connecl now brings you the ability to remotely access your new Panamera from your iPhone. This requires that your Panamera is equipped with a Porsche Car Connect unit. Depending on your country, your model and the options installed, you will be able e.g. to remotely locate the position of your Panamera, fold exterior mirrors, set timers for charging, read the tire pressure or set a geo and speed fence. Porsche Car Connect is available for the new Panamera (model year 2014) and requires a Porsche Car Connect unit in your vehicle. The functionality of this app varies depending on your country of residence as well as on the options available in your vehicle. 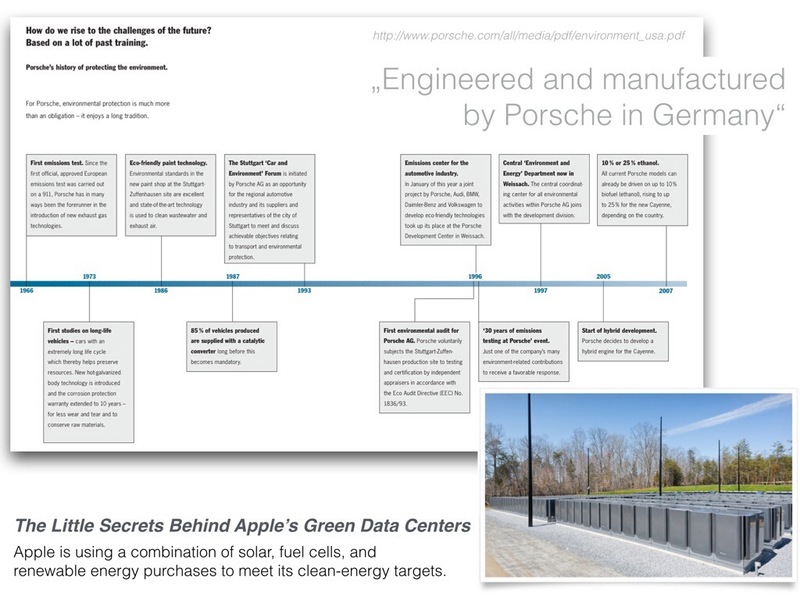 Apple as well as Porsche are leading companies regarding environmental initiatives and show us that innovation is not limited to products but also to the process of production and recycling. At the time the main difference between the two companies is about production. Porsche cars are engineered and manufactured in Germany whereas the overwhelming part of Apple products are produced in China. Controlling the environmental and labor conditions in foreign countries, particularly in China and developing countries, is a pretty hard task and some principles must be sacrificed. 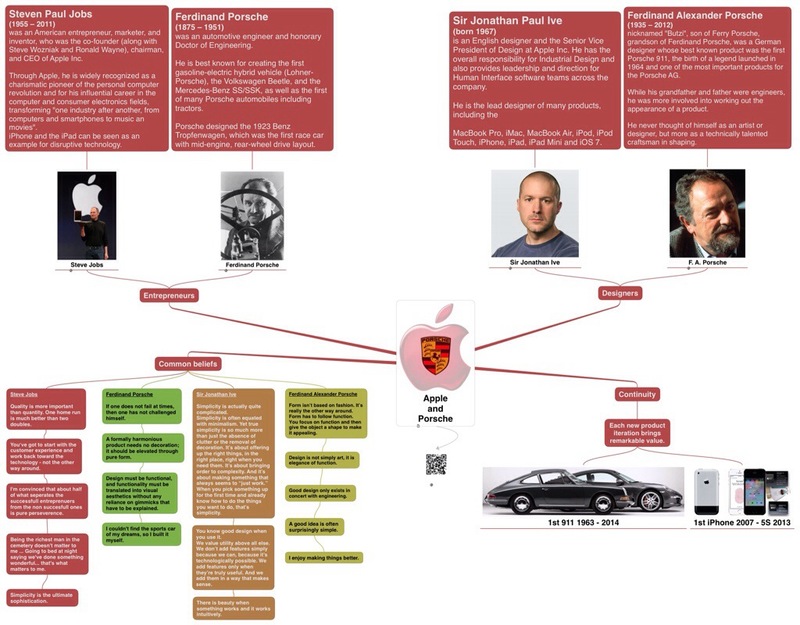 Let’s see whether Apple’s strategy to bring the production back home and Porsche’s considerations to build cars in China will change the future situation. Creating and leading a brand needs more than just to be a business man. Important character traits, the right co-workers, a dash of genius, passion, and luck may initiate the development of a business DNA followed by the birth of a brand. Outstanding personalities, thinkers, team workers, visionaries can create something out of nothing and put a dent in the universe.